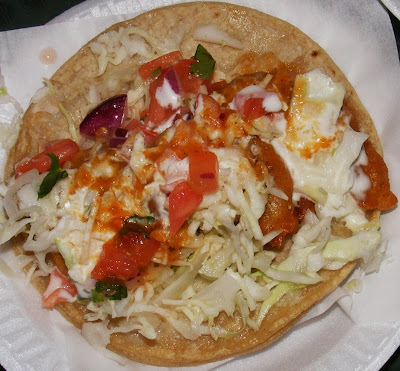 Street Gourmet LA: Tacos Task Force:LA's best Baja Fish Taco!! The Taco Task Force was first and foremost assembled in the spirit of adventure and fun. I talked with several blogger friends that I thought would engender a broad range of experiences. Cathy Danh, Josh Lurie, Javier Cabral, Matthew Kang, and myself would take on the LA taco scene to give another perspective on “tacoing” in Los Angeles. The very popular taco blogs had already turned on foodies and bloggers alike to the local taco trucks, stands, and taquerias. I had gone to many of these places in recent years to find out that they weren’t very good, nor did many resemble what I’d encountered traveling throughout Mexico. There was a complete lack of criteria, baseline, or understanding of what makes a great taco. It was more or less, ” I like this place, the tacos are good, I give it 3.5 tacos(stars)”, with no explanation why it deserved the score. The result was a comprehensive list of mediocre to bad tacos. 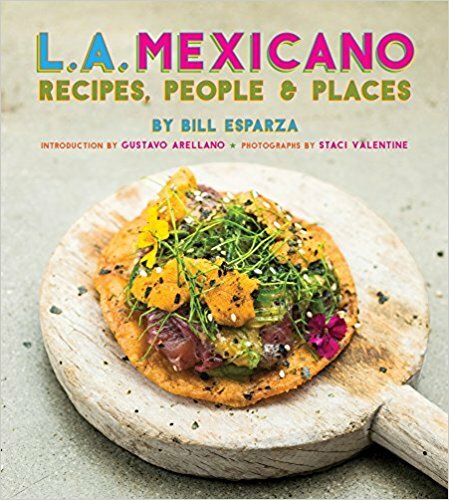 There are solid regional and authentic tacos in LA, and there are also taco places that make tacos unique to Los Angeles, the result of Mexican-American cultures coming together. The main reason tacos tend to be inferior in the US is the lack of ingredients, inadequate sources of proteins, and most importantly the lack of skilled taqueros (tacoers). Skilled taqueros don’t immigrate to the US, they are more employable in Mexico where stand owners hire these taco professionals. The taco trucks in LA( there are hardly any trucks in Mexico at all) are run by people who know how to make tacos, but usually they come from another line of work. They lack knife skills, don’t know how to select quality ingredients, don’t know cuts of meat, have only basic salsa making skills, lack creativity, and don’t have specialist skills like proper cooking on a vertical spit.They are also handcuffed by Angelinos' demands for the $1 taco,making Costco,Smart 'N Final, and other relatively inexpensive sources the supplier of taco ingredients. Using the fish tacos at world famous El Fenix in Ensenada as a basline, which we all had the pleasure of trying, we raced across town one Sunday to sample fish tacos at five different locations in Los Angeles: Tacos Baja(East LA), Tacos El Nazo(), Senor Fish(Eagle Rock), Best Fish Tacos in Ensenada(Silver Lake), and newcomer, Ricky’s Fish Tacos(Silver Lake). The Baja fish taco was born out of tempura technique brought by Japanese fisherman, battered fish with tailored salsas, a special cream made with mayonnaise and milk, fresh cabbage, pico de gallo, and a corn tortilla. Salsas vary, pure mayo can be used instead of the Baja style crema, and pickled cabbage is sometimes used as an alternative to fresh cabbage. These are the standard dressings. In Baja, your lard fried fish is handed to you on a warm tortilla, and you finish the job yourself. Our judging criteria that day would be the quality of fish, authenticity, condiments, flavor, and cooking technique. The system needs a little work, but at the end of the day, or days, our results were unanimous in ranking the five locations. In that sense, the scoring worked out. We carefully chose fish of the most popular and well known Baja fish taco places in town and ranked them as the best five Baja fish tacos in LA. Our second stop of the day, coming in at number 5. Taco Nazo is a local chain founded by Tony and Telma Garcia in 1978. It is well liked by many in the foodies communities and was largely selected based on its reputation on the various discussion boards. Despite the Hussong's cantina sticker in the background,Taco Nazo's signature item only has a base appearance of a Baja fish taco. The condiment bar was not fresh or well kept, and the plated taco that we received had no lively vegetables to complement the fish. The chiles gueros were curiously over seasoned with pepper, not the usual pico de gallo overwhelming the elegant flavor of the blond chile. The flavor of this pollack was non-existent, indistinguishable from the shrimp. We actually had to take them apart to see which was which. The texture was strange, not the familiar crispy outside and tender inside.The pre-made taco was also shrouded by a mound of lackluster toppings, perhaps by design? The 3rd stop we made together that afternoon, and number 4 on our list. Another place that I gather used to be better has a winning concept. A cartoonish mascot, and an attractive ready for franchising kind of motif have made this place a destination for years, along with their California themed menu. Lots of grilled tacos,seafood burritos, and quesadillas. The salsa bar was very strong, with many simple but well kept items.Somebody takes good care of this station. Where this taco lost me was in the batter,which was lacking the Baja flavor and texture.It was mushy and bland, not a proper package for an otherwise nice tasting cod. Of all the stops we made together, and apart, BFTIE brings the most authentic Baja sensation upon delivery. A warm tortilla wrapped around crispy fried fish is handed to you to do as you will.Could this be the real deal? I eagerly walked to the salsa bar, which is a very La Salsa, salsa bar.I mean, just put the stuff on a counter, but, alright.The salsas? Mango was everywhere except on one of the salsas. This adulterating component is more Cabo than Ensenada.Not to mention the salsas themselves were watery and lacking in balance. Old 'n runny tomato sauce with mango, dude.The housemade crema from the dispenser was just fine, though. The fish is stand alone good, loaded with flavor, and the cooking station made me feel like I was at a taqueria near la quinta in Ensenada. The tortilla was hard, though, which was just fine for miss Cathy Danh, but it was a distraction to the overall taco. With a salsa bar makeover, Best Fish Tacos in Ensenada could really up its game. Think dried chile or roasted chile based salsas and perhaps a nice pico de gallo, oh, and a more pliable tortilla. Our first stop of the day for the christening of the Taco Task Force, was the still relevant, Tacos Baja, formerly known as Tacos Baja Ensenada.Monday through Friday this is the best fish taco in town and number 2 Baja fish taco on our hitlist. Tacos Baja has been a favorite of mine for years, ever since moving to LA and reading about them in the various articles praising the virtues of its fish tacos. I hadn't been in while since I'd been down to Ensenada so many times this past year enjoying the genuine articles.It was great to know they still got it. Their popular condiment bar showcases those delicious chiles gueros, properly dusted with pico de gallo(seasoned chile salt)after roasting and doused with lime.These special items are the mark of a great taco joint, you should get something on the house that is part of the folklore. The catfish taco comes fully dressed, not in the Baja tradition, but all the components are solid. The fish is tasty and the batter nicely seasoned. The texture is as it should be, crispy light batter around a flaky fish. I would love to see Tacos Baja create a couple of other salsas and expand upon their condiments,but the Taco Task Force unanimously agreed this was the best taco on our run that fine Los Angeles Sunday afternoon. Well, our master plan was foiled that day, Ricky was away.Thanks to some twitter stalking by the other members of the Taco Task Force, including the entreaties of Cathy Danh to please come out and taco, we finally all were able to taste the number 1 Baja fish taco north of the border. Ricky Pina has altered the Baja fish taco universe in LA, ever since he showed up with his little cart and rainbow umbrella. I initially heard about him on chowhound and questioned why someone from Ensenada would serve up a fully dressed fish taco, and not let the customer plate.But, I was definitely with Scooby Doo-like curiosity to get out there and try them myself. Ricky uses a quality basa(genetically a catfish but from Vietnam)that looks as fresh as it tastes. These tacos are made to order, something that doesn't even happen all the time in Ensenada. The pico de gallo is vibrant, the mustard accented batter is made from imported Mexican wheat flour,the cabbage is fresh and razor thin, and the homemade crema is a veritable blend of mayo and 1% milk. The fish are dipped in batter, fried in the good stuff, and carefully assembled by the master taquero. Ricky's reasoning for plating the tacos is to maintain the hygiene of his little stand. He would have more items if he had space, but what he carries is stellar. These are delicious fish tacos, and despite not being made from dogfish or angel fish as they are in Baja, you really don't miss a thing. His frying technique and the perfect consistency of the batter deliver satisfaction. The one thing missing from every other place we went was balance. All elements were present here to produce a choice fish taco. We are still refining our scoring system, but our group was unanimous in ranking and there was no scoring consultations. I don't think Best Fish Tacos was that close to Tacos Baja, but this is a work in progess. Having trekked through LA in search of the best, I conclude that I have no reason to go back to Taco Nazo, Senor Fish, nor Best Fish Tacos in Ensenada.The only unpleasant experience was Taco Nazo, but they did have beer as a consolation. Tacos Baja is still a great place to go during the week, but weekends are made for Ricky's Fish Tacos, the best Baja fish tacos in town by a knockout. nicely put, 'scooby-bill'. ha ha. on to birria now or what? must be done in january! Good job of putting the Baja-style fish taco in context. Hilarious lines about "performance anxiety" and "Scooby Doo-like curiosity." It was interesting to read your possible explanations for the difference between Baja-style fish tacos in Baja and the U.S.
Hey Mr. Taster, I think I accidently deleted your post. There are 2 Tacos El Fenix in Ensenada, both within walking distance. No Baja fish taco quest is complete without them. They have a red and a green salsa only,women do run the stand, and they hand you the tortilla with the fish only, you utlilize the tight condiment selection they have. I've been to most of the well-known places and then some in Ensenada.I've also had 'em throughout the peninsula, in Loreto, La Paz,Tijuana, and Mulege.I'll send you some El Fenix pics and see if that's where you went. Hey Ravenous Couple,thanks.Josh was very germerous to be the score keeper and consolidate all our numbers. Javier and Josh. 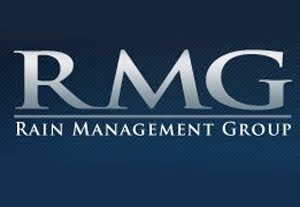 Well, we've had a great start, off to birria after the holidays.The fisrt mission of 2010. It sounds to me like all of them except Ricky's kinda sucked. And alas, despite Ricky's relative proximity to mi casa I have missed his stand every single time I have gone in search of. Maybe I should watch the tweets more closely next weekend. Thanks for taking the bullets. Oh, and second Gultster's motion to move forward with birria in January. can you include me in the group?